A.K.A not long for this world. I love this little house, one of three on this block. 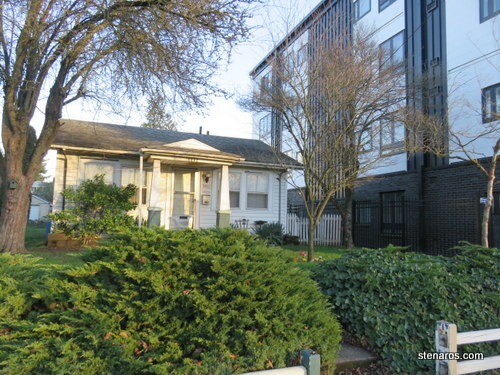 It’s 756 square feet and was built in 1926. The last time it was sold was in 2006 for $160,000. It’s a rental, the owners live in Vancouver. 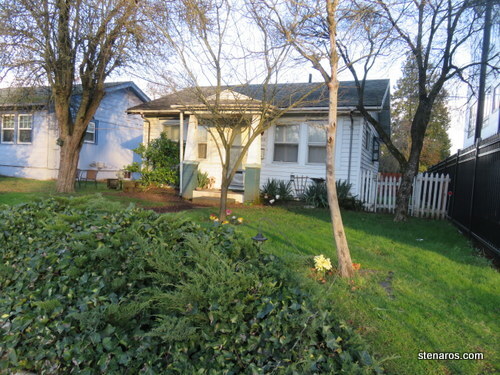 Here’s the asking price: $349,900. If the sellers get that, they will have doubled their money in 12 years. It’s been for sale for some time, so I’m guessing the price will drop a little. 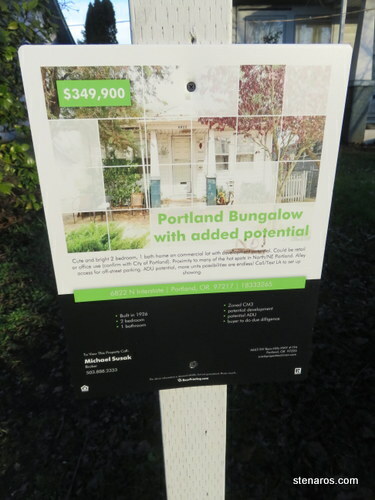 I include the picture of the sign so you can see someone has crossed out with a big “NO!” the words “with development potential.” Since the MLS listing doesn’t include any pictures of the interior of the house, I would be very surprised if this becomes someone’s home. Previous Previous post: How’s that bullet journal thing going?